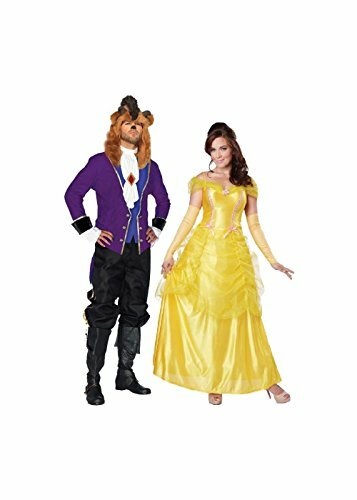 The Beauty and the Beast Costume x large Couple Kit includes Belle's yellow satin gown. 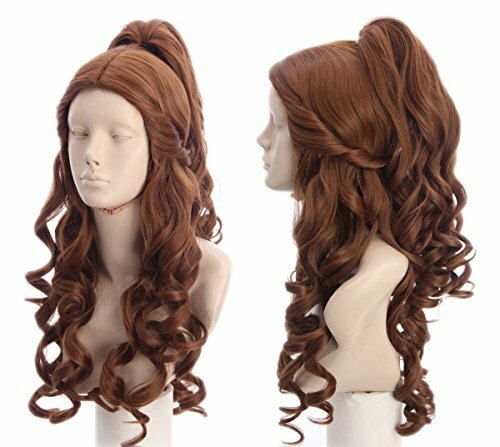 Does not include the gloves, wig, or heels. Her dress is available in size x large (12 to 14 ). 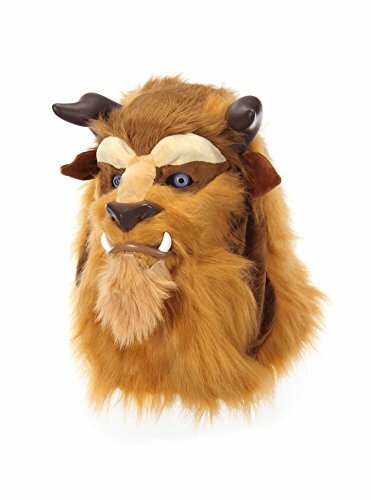 The Beast's outfit includes a purple jacket with gold trim, a white neck scarf, and plush fur hood. Not included are the pants and boots. His outfit is available in size x large (46 to 44). 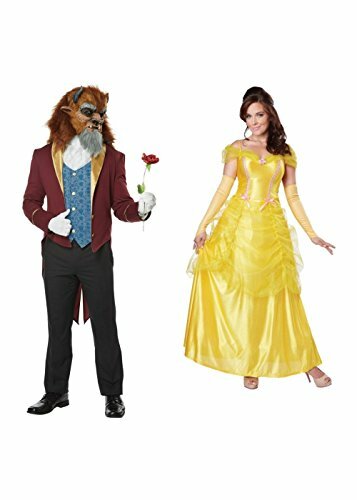 The Beast Men And Belle Women Couples Costumes brings two things. 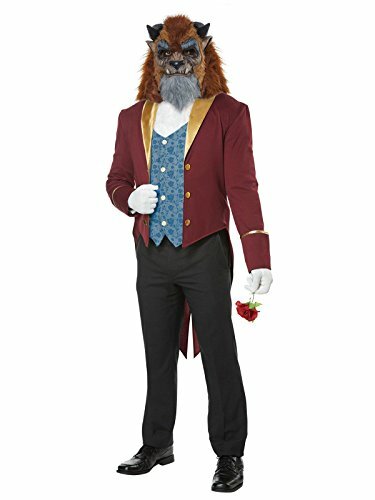 The Beast men costume includes vest, tail coat, mask with faux fur and cravat. 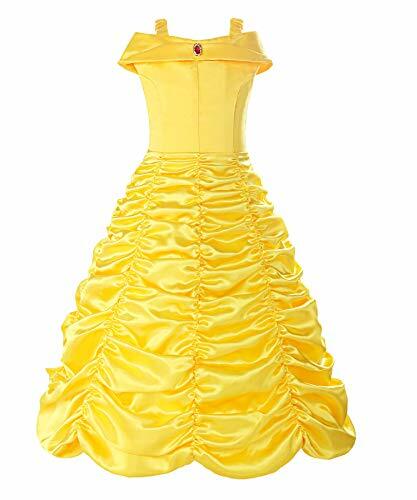 Belle women costume brings dress and glovelettes. 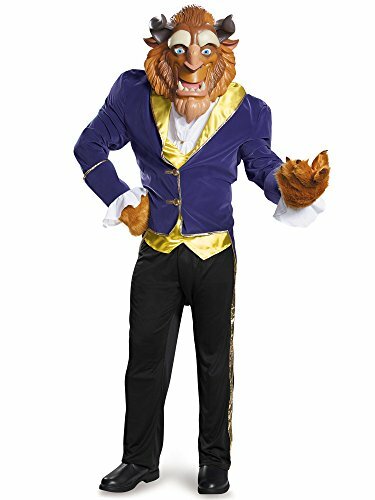 Great for Halloween or Disney themed events. 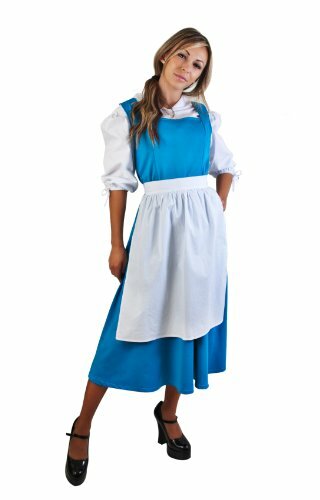 Please note that when selecting the size, you are selecting Belle's size only. 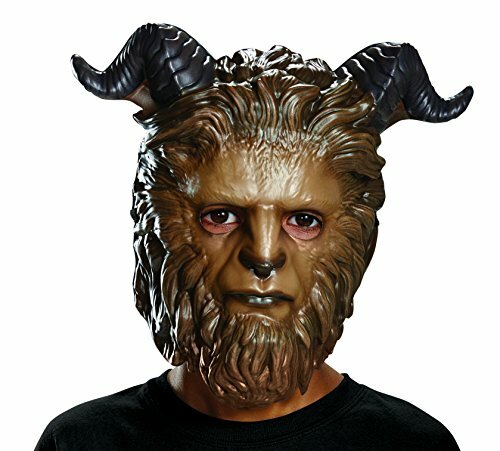 Beast men costume comes in size X-Large (44 to 46). This dress is a regal delight. 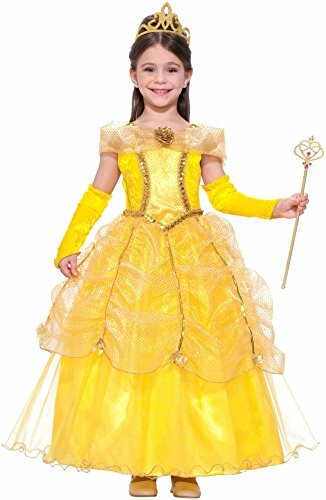 Feel like royalty in this full-length princess dress with sheer overlay, lots of gold accented detailing, and glovelettes. Forum Novelties has become a leader in the Halloween industry, as well as the Joke, Trick, Magic and Novelty gift item business. Over the past 30 years our product line has evolved to meet customer needs and consumer buying trends. 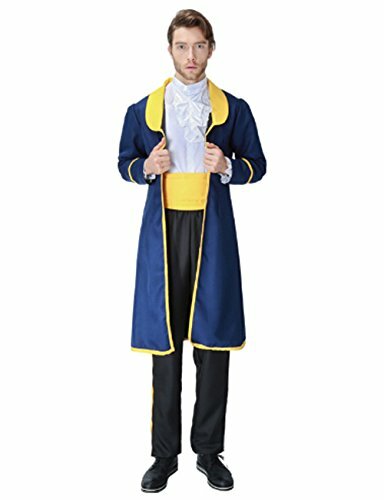 We are the proud manufacturers, importers, and distributors of over 8,000 items ranging from baby costumes, to adult and plus-size costumes, to pet costumes. Look to Forum Novelties for all of your Halloween, luau, Christmas, Mardi Gras, and St. Patrick's Day supplies. From funny to frightening, Forum has it all. Be part of tee shirt a group Halloween costumes. Simple and lazy funny Halloween outfits for your friends and family. It's hilarious to see people's faces when wearing these funny and creepy Halloween shirts. It's a clever outfit. Super cute and trendy matching Halloween Costume for couples. 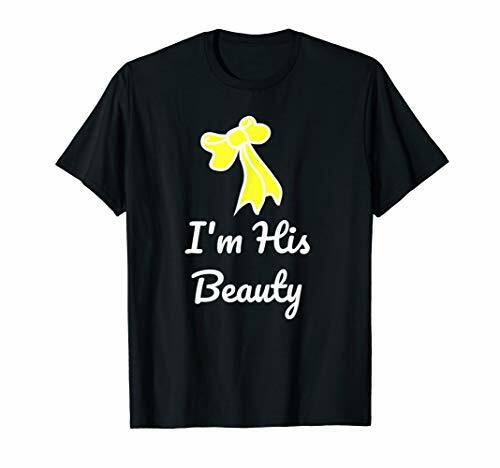 Tee says "I'm His Beauty". 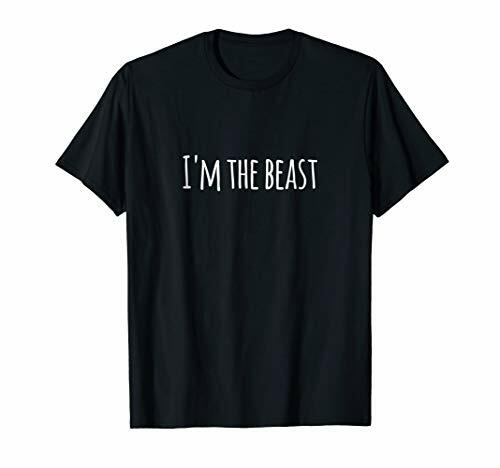 Goes with Matching "I'm Her Beast" shirt. Perfect pair shirts for a couple to go to a Halloween or Costume Party. Twin matching partner shirts will be a big hit! 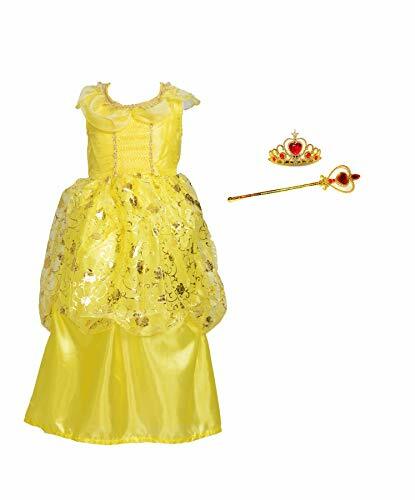 Transform into Princess Belle in this newly fairytale classic. The stretchy yellow velvet bodice is designed with sparkling gold trim and an elegant collar. 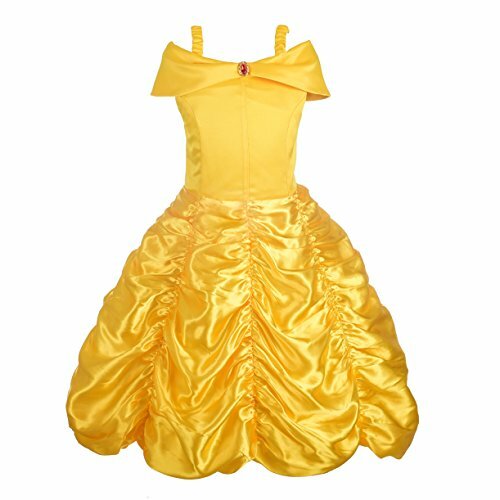 The printed gold rose overskirt adds a dazzle to this princess dress. Features: Clothing quality fabrics; attached fullness slip. Stretchy, soft and very comfortable. This dress fits true to size 3-5 years. The waist will fit 21-23 inches and the height will fit 35-41 inches. Crown and wand included.